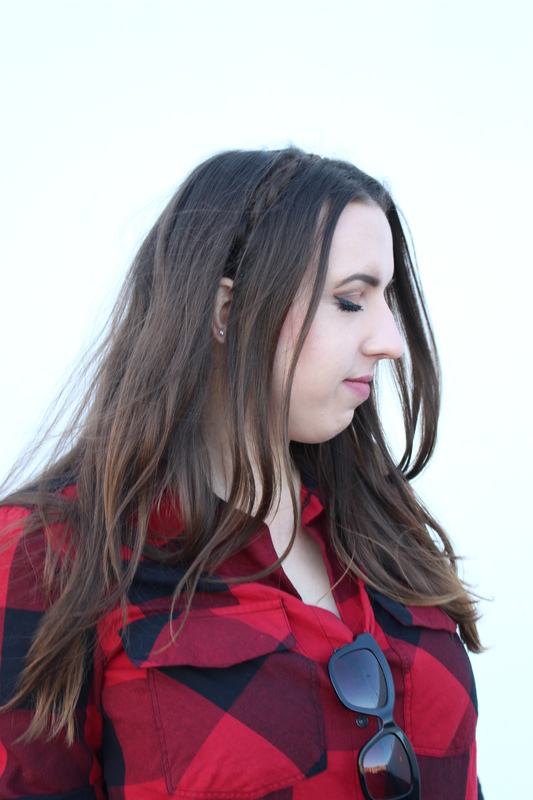 I’m the queen of lazy hair, but when inspired I occasionally spring for a twist or braid, just as long as it’s low maintenance! This simple headband technique is the gateway to so many other hair looks. It’d be especially beautiful in a bun or updo for the holidays. 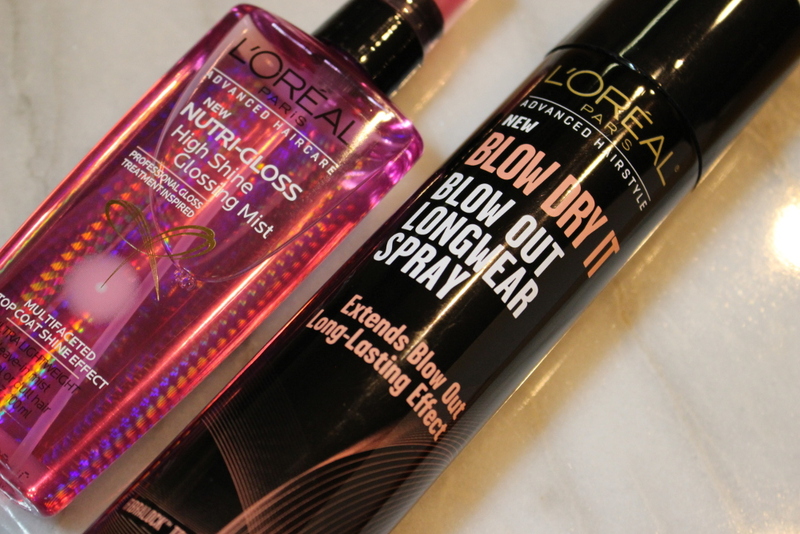 For more hair ideas, be sure to visit your Target Beauty Concierge to step up your hairstyling game this fall. Love the look and the products sound amazing. I love that there are so many new ways to braid and wear long hair. Thanks for sharing. So easy to get lazy with hair. You should see mine right now! Disaster. Thanks for the reminders that a simple twist and braid can really spruce things up! I love lazy hair too! 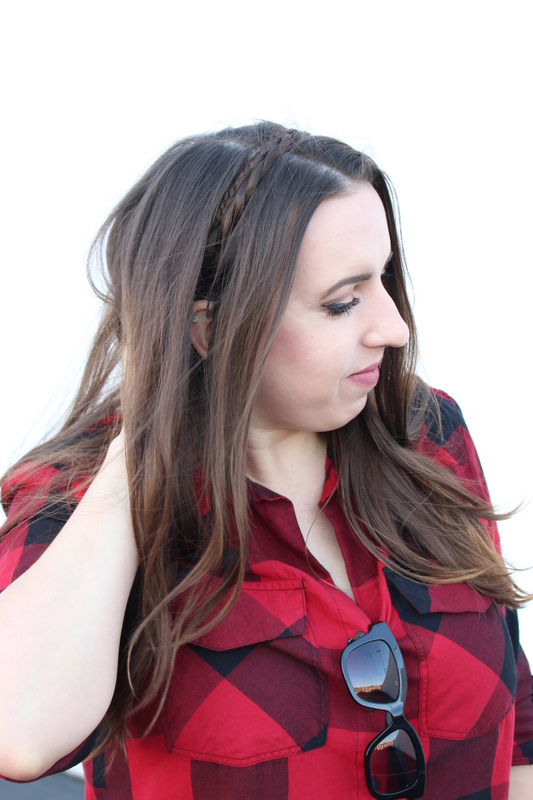 A textured side braid is my fall go-to. Looks great with a scarf. Might have to tie in a hair-headband to spice it up a little. Great, simple tutorial. Thanks! This is a cute fall look! I love the booties! I love this outfit, so cute!! 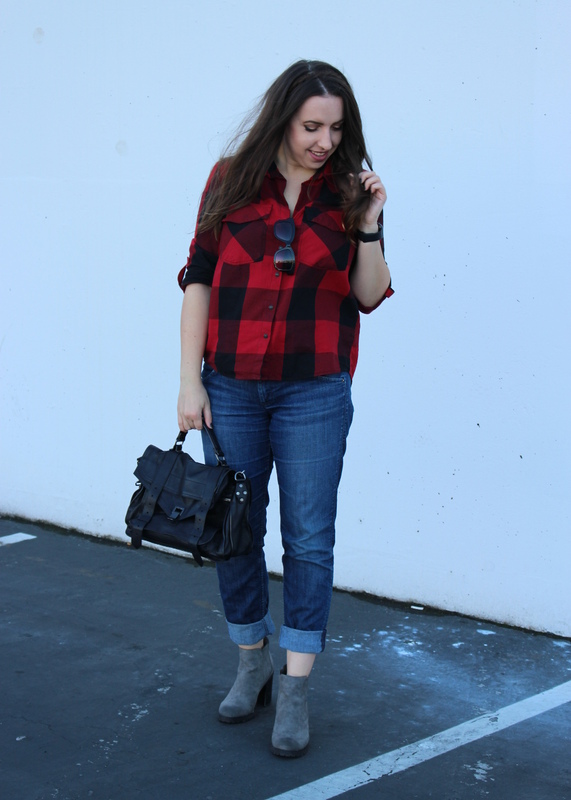 I love plaid this season! Super cute shirt. Great looks and I never saw those products before! 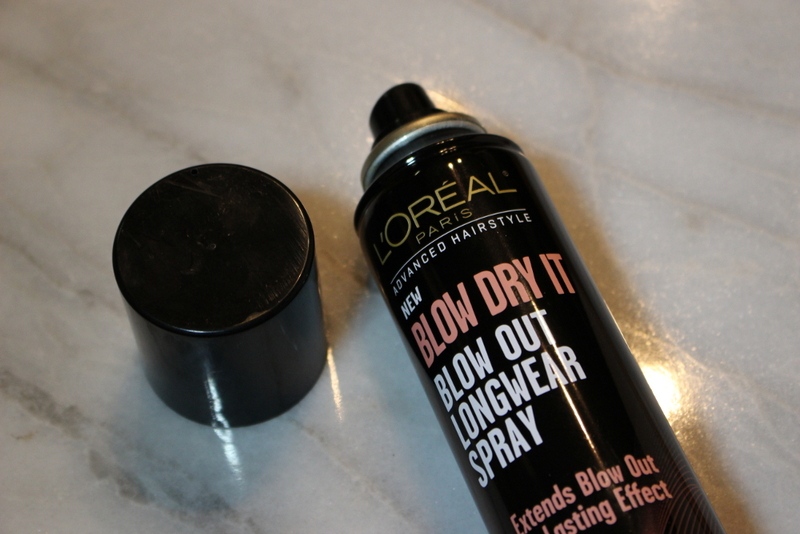 Love the look – I’m with you on the lazy hair front!